The north face of Mt. Washington as seen from the summit of Eureka Peak. 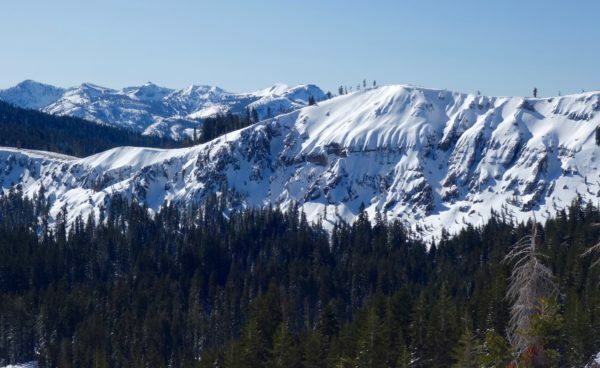 The northernmost portion of the Sierra Nevada Mountain Range ends in a stunning yet frequently overlooked region referred to as the Lost Sierra. 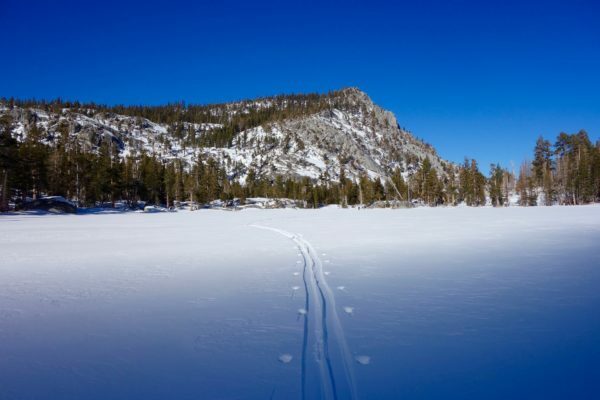 The Gold Lake Highway (closed in winter) runs parallel to this range of peaks and lakes which is bookended by the spectacular Sierra Buttes to the south side and Eureka Peak on the north end. The entire region is rich in mining history and was the virtual epicenter of the gold rush in the mid 19th century. Stamp mill from the mining era in Plumas Eureka State Park. In the fall of 2014 I hiked the Eureka Peak Loop trail and saw terrain on Eureka Peak and neighboring Mt. Washington that I vowed to come back and ski in wintertime. 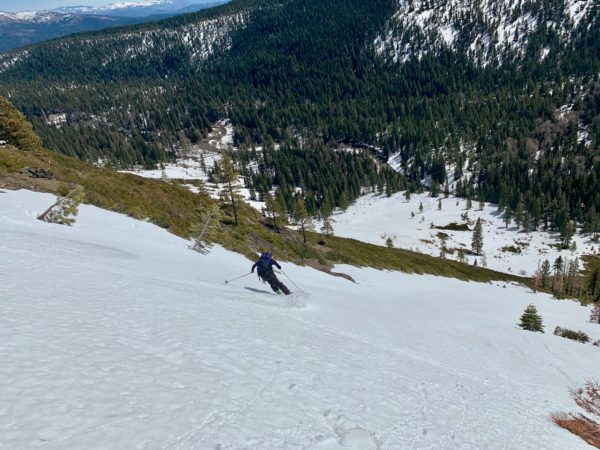 The ski terrain on both mountains starts at the relatively low elevation of 5,200 feet which makes them unlikely objectives during leaner snow years. 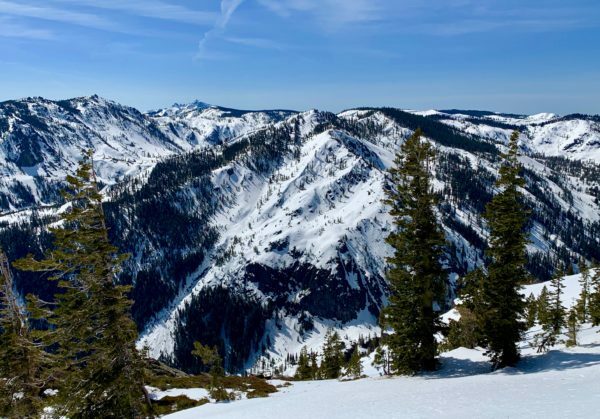 That said, the bountiful winter of 2019 has stacked the region with a healthy snowpack creating ideal conditions to explore the Lost Sierra. Perfect corn in the east gullies of Eureka Peak. 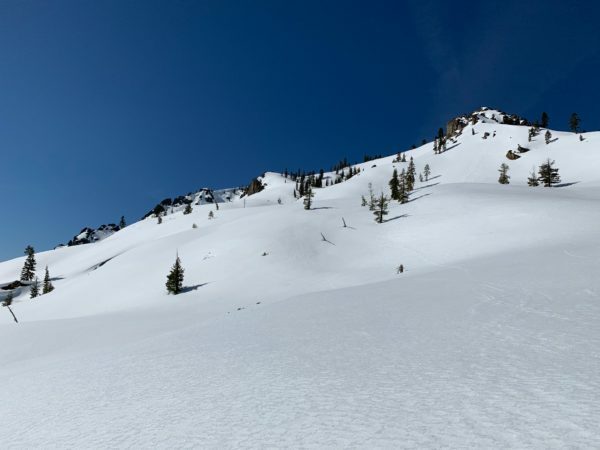 I recently hooked up with local Dave Carmazzi and found good snow on the north face of Mt. Washington one day followed by perfect corn on the south face of Eureka Peak the following day. 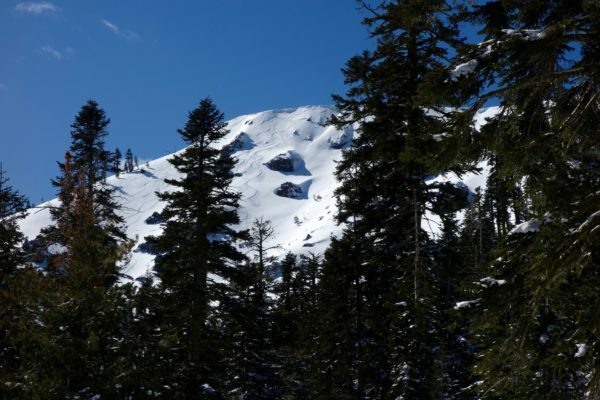 Eureka Peak can be accessed from the parking lot at the base of the old Eureka Ski Bowl or the museum at Plumas Eureka State Park. Mt. Washington can also be accessed from the museum or from Jamison Mine Road. Eureka Peak and Mt. 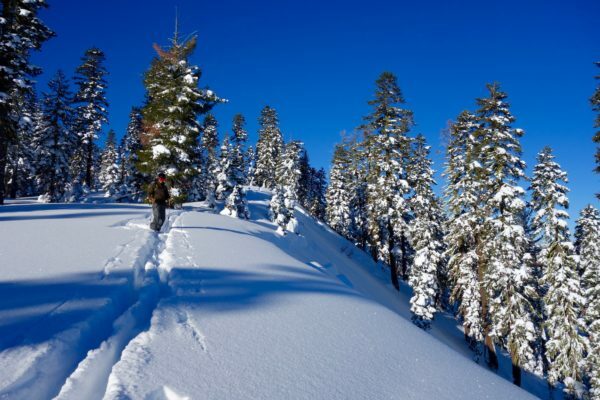 Washington offer relatively easy touring routes and a variety of descents from breezy to rowdy. 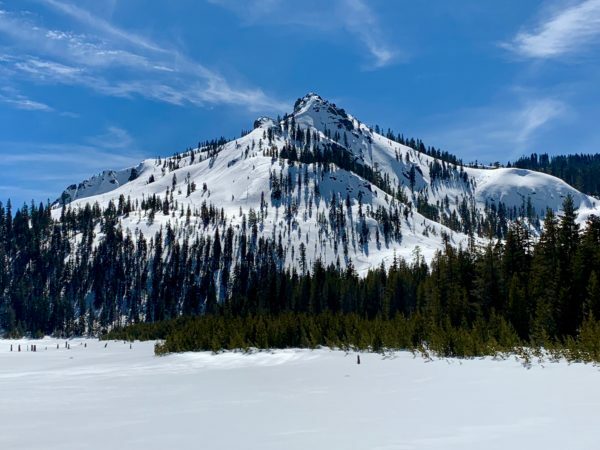 Both mountains have large avalanche paths in places (particularly in the Jamison Creek drainage between the two peaks) and should be navigated with caution during dangerous snow cycles. 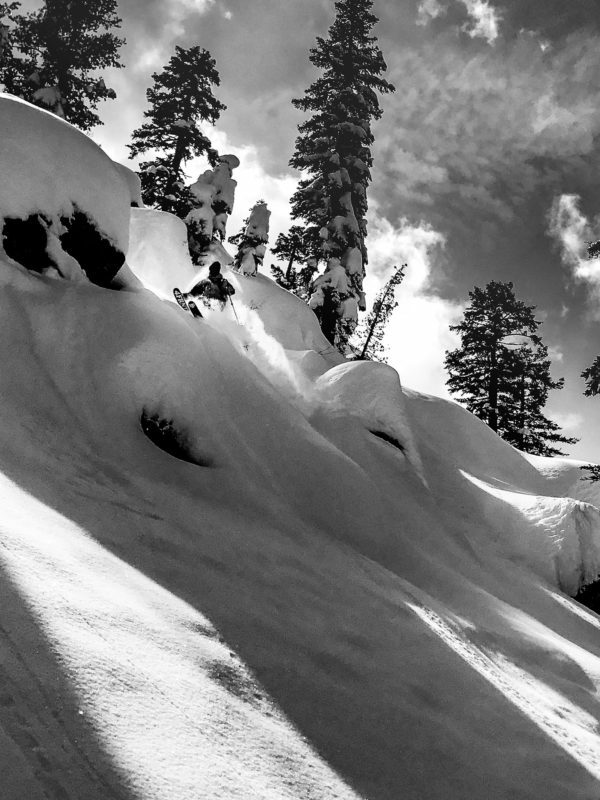 Dave Carmazzi drops 2,200 vertical feet from Eureka Peak into the Jamison Creek drainage. 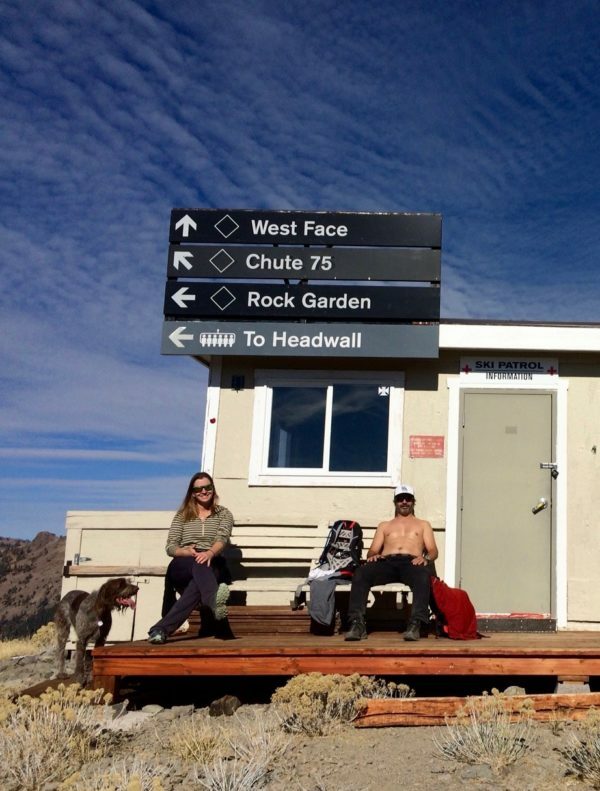 The south face of Eureka Peak has plenty of exciting lines to choose from. 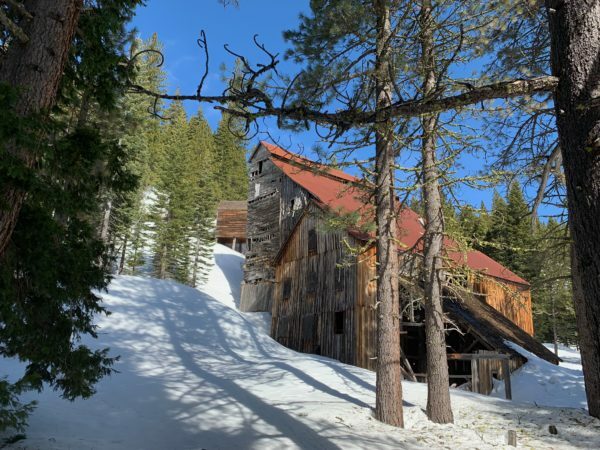 The simplest and safest option for storm days or backcountry newcomers is the old Eureka Ski Bowl which still has the remains of two poma lifts and a modest ski lodge. The ski bowl is home to annual longboard races which pay homage to the miners who raced huge skis made from timber back in the mid 1800’s. Abandoned poma lift at the old Eureka Ski Bowl. 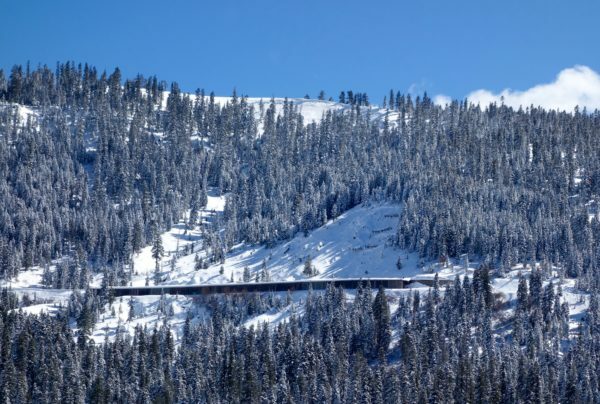 Plumas Eureka State Park is located an hour north of Truckee and about six miles west of Graeagle. From Graeagle, take route 506 past Mohawk to the tiny town of Johnsville. About a mile past Johnsville the road dead ends at a parking lot which is a popular starting point for snowshoers, nordic skiers and backcountry enthusiasts of all types. 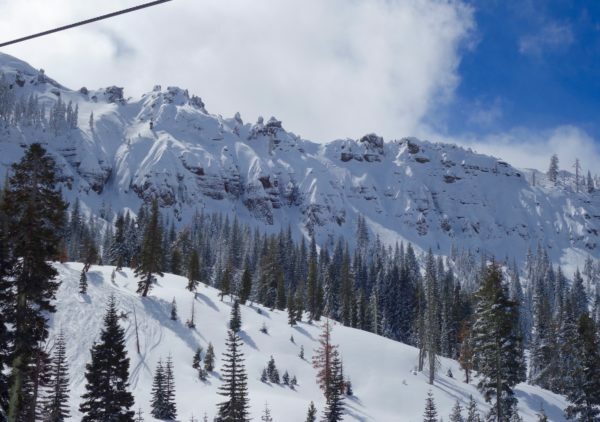 From the parking lot you can skin up Eureka Ski Bowl to Eureka Lake and Eureka Peak. 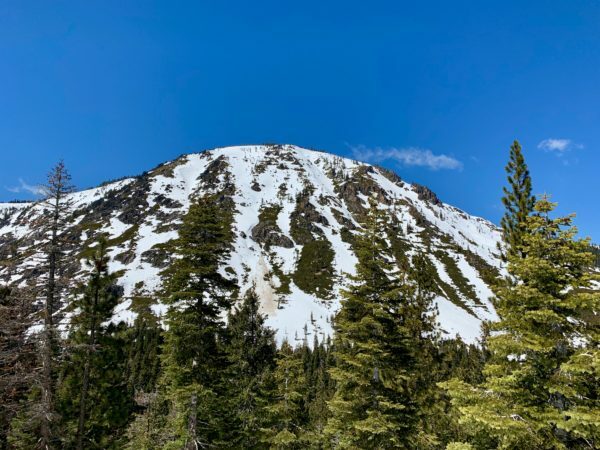 North Peak lies just to the northeast of Eureka Peak proper and can easily be mistaken for its true summit. You never know what you will stumble across in the Lost Sierra. After a day of adventuring you can quench your thirst at one of several watering holes in the quaint and cozy towns of Graeagle and Blairsden. The Knotty Pine, Gumbas and the ever popular Brewing Lair are fine locations for sipping a drink while reminiscing the days highlights. If you are heading back to Truckee and want to break up the drive at the half hour mark you can hit Los Dos Hermanos in Sierraville. Just another lazy day in Graeagle. A little slice of Alaska right here in the Sierra Nevada. Windslab avalanche on Mt. Judah. Mark Durgin finds perfect corn outside of Bridgeport, CA. 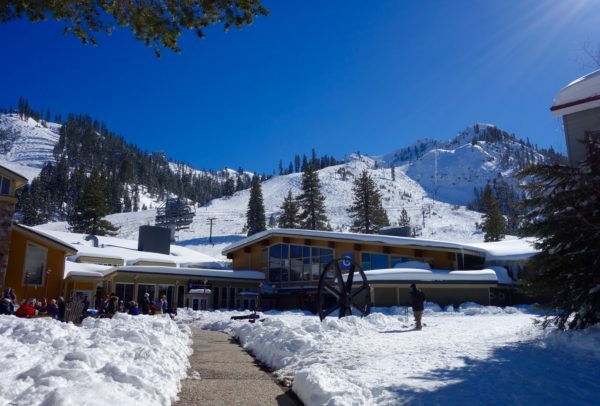 Suns out and so are the crowds at Squaw Valley. Mark Durgin has the deepest day of his life on Sunday, February 17, 2019. 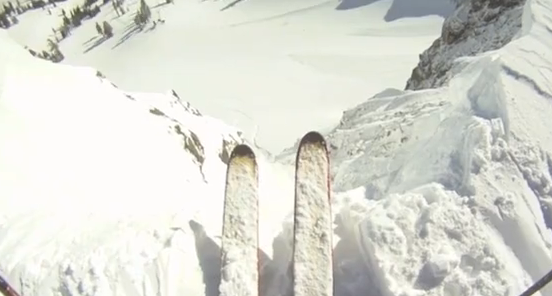 This ski season is officially off the rails. 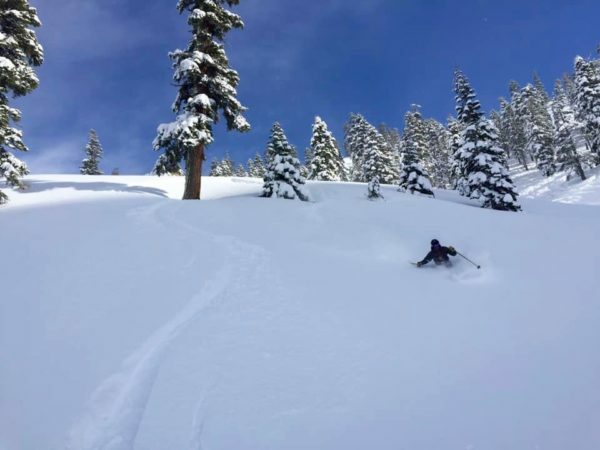 Three enormous storm cycles have rocked the Tahoe region over the last three weeks, each of a magnitude that would stand out for an entire ski season. 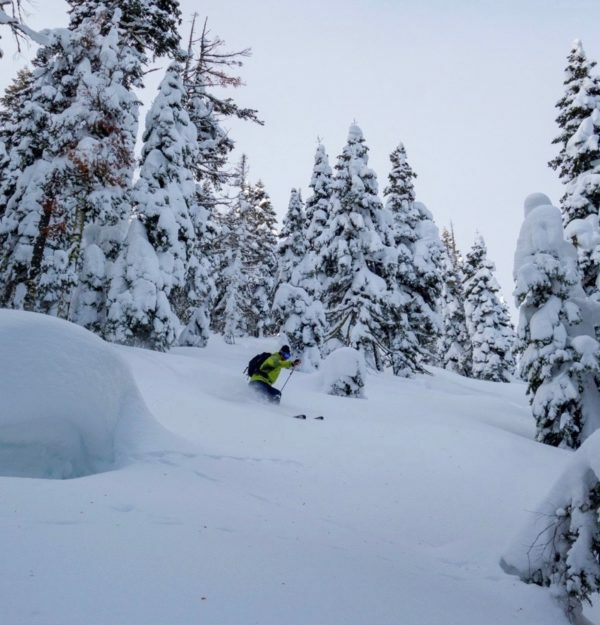 The heaviest snow has fallen on weekends and kicked off the first, second and third weeks of the month as “best ski day in a decade” type conditions. 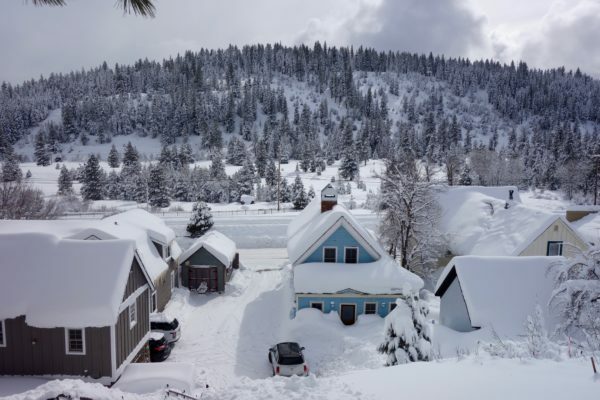 The Tahoe region averages one storm a season which drops three feet of snow in 24 hours. We have received three such storms so far this month. The all time February snowfall record has been broken just over halfway through the the month. Locals are beat down from shoveling and endless snow removal routines. 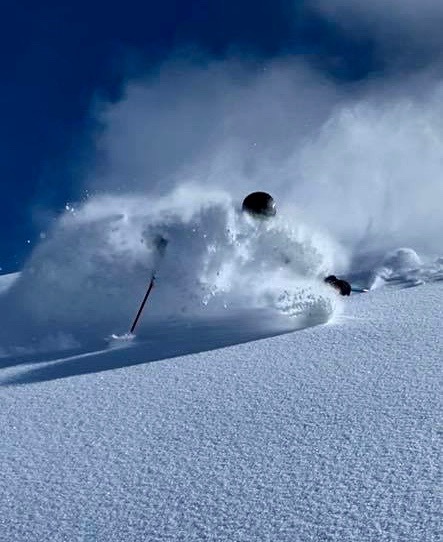 The powder skiing has been all time day after astounding day. Just when you think you are done shoveling a roof-a-lanche adds another hour to your schedule. 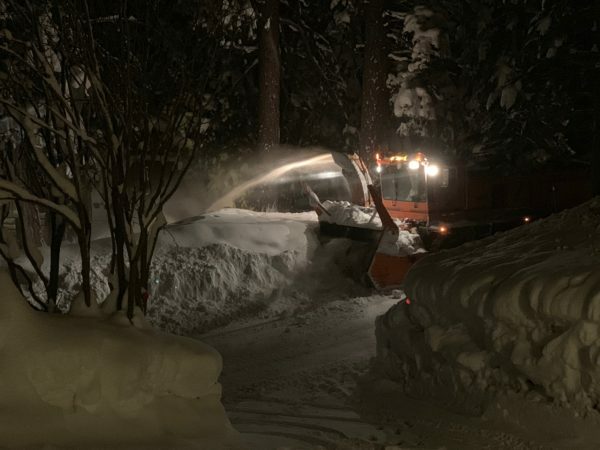 Town of Truckee rolls out the heavy artillery late into the night. 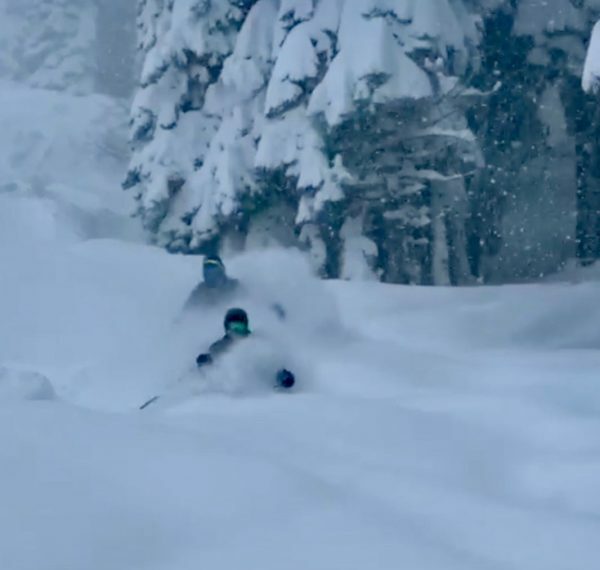 Rob and Ethan McCormick sink into the powder vortex at Homewood. 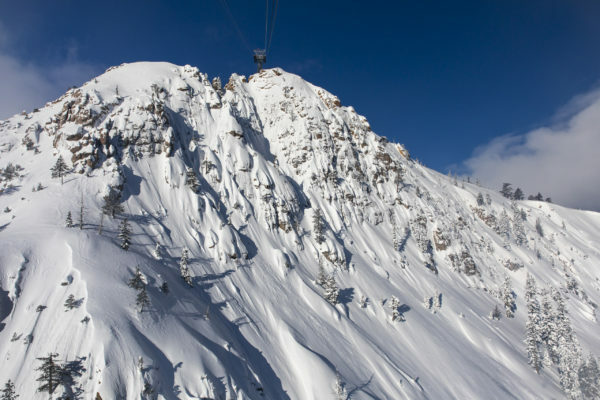 Squaw Valley’s Tram Face is stacked and racked. Photo by Grant Kaye. 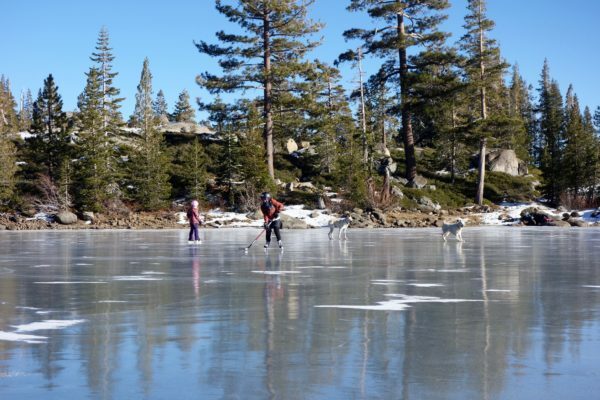 Another picture perfect day in the Truckee backcountry. Exploring the Lost Sierra as another storm moves in. 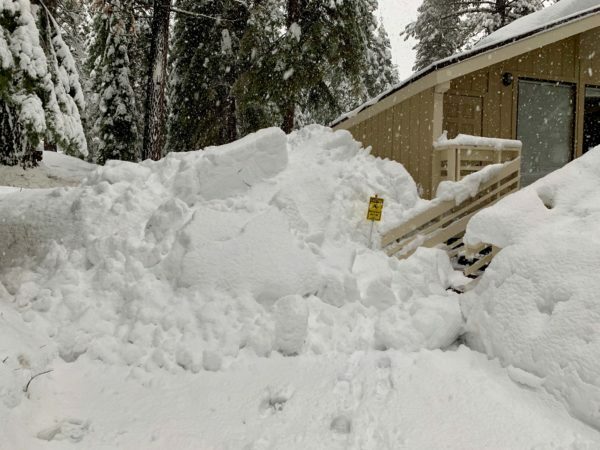 Before the snow quality from last week’s storm could decline, another system pounded the Sierra Nevada. 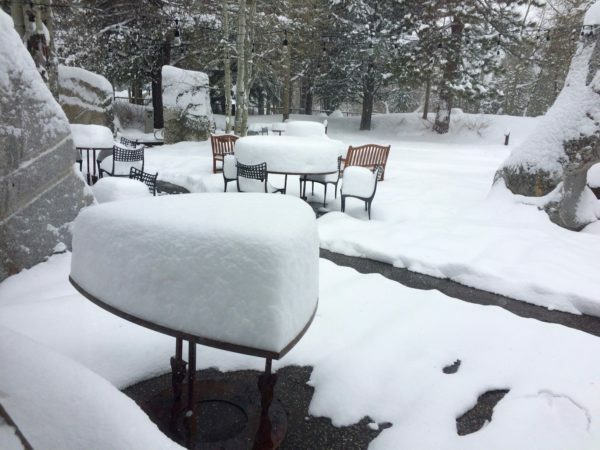 Squaw Valley received just under 4 feet of snow in 24 hours. 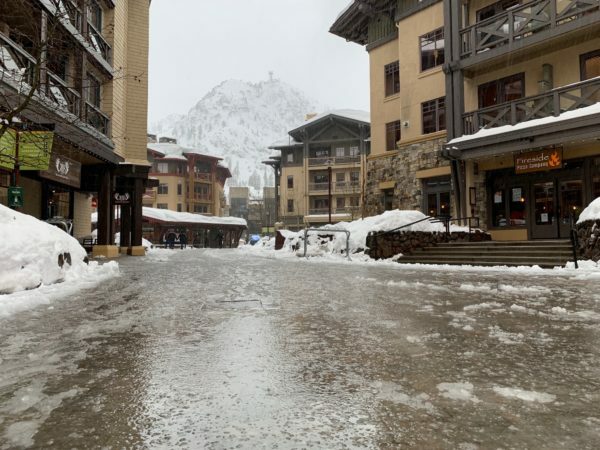 Squaw Valley and Alpine Meadows did not open on Sunday in order to dig out and conduct extensive avalanche mitigation. 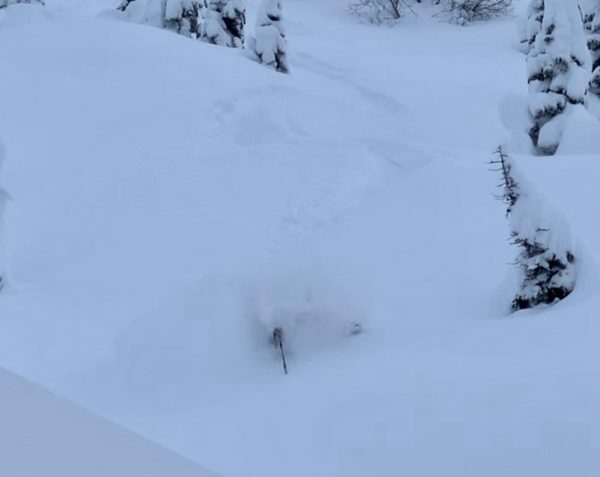 Both resorts opened nearly all of their terrain at once on Monday morning resulting in a powderhound feeding frenzy. 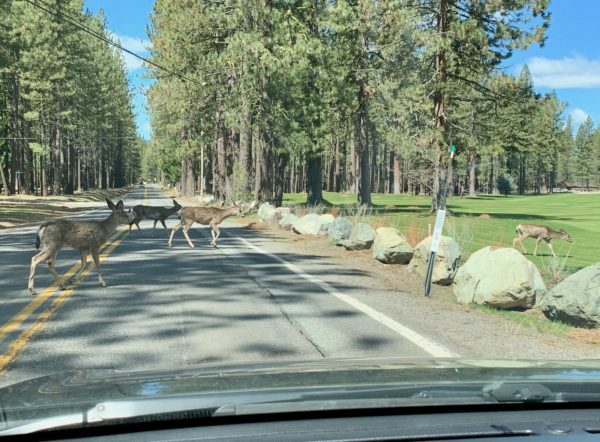 It seemed nearly every local in the region took the morning off and traffic from Truckee and Tahoe City reflected this. 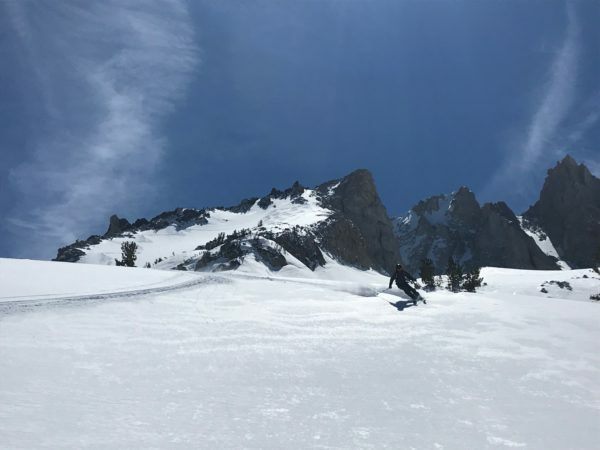 Low snow levels with the last two storms have made this an opportune time to pursue elusive ski descents down to the dessert floor in Nevada. Don’t look now but even more chaotic weather is headed our way. 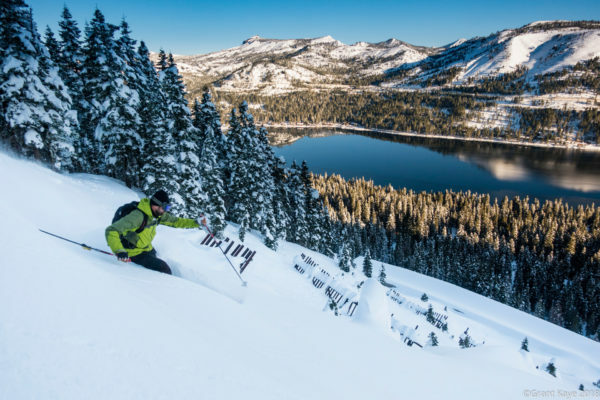 Scott Gaffney hucks Main Air in the Fingers at Squaw Valley. 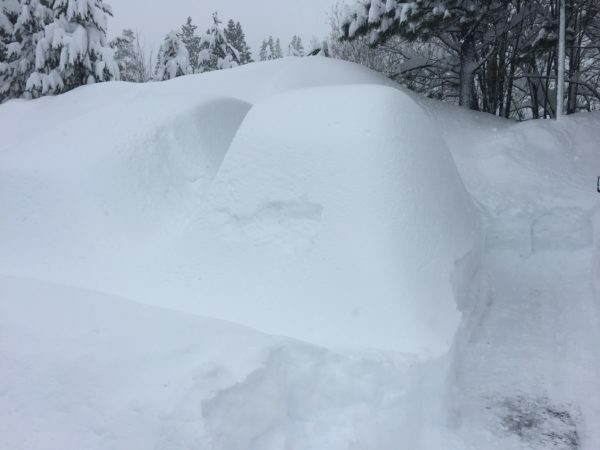 Bro, have you seen my car? Savoring the post storm goods. 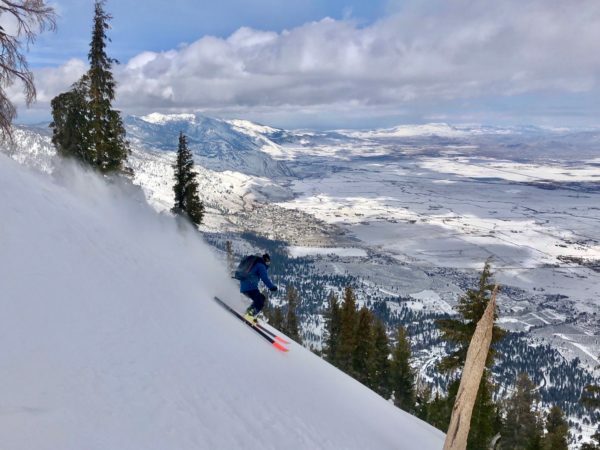 Robb Gaffney drops 5,000 vertical feet into Carson Valley. …and here’s the chaotic next chapter. Torrential rain! 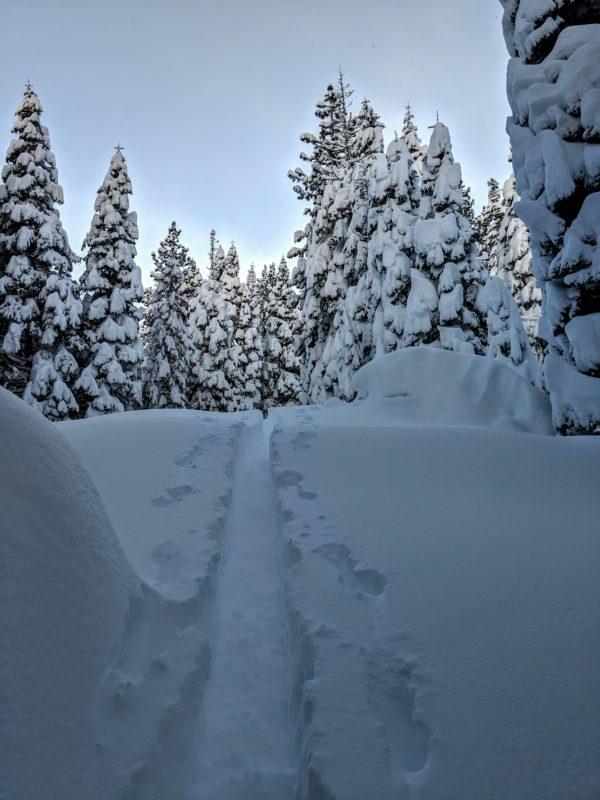 Feels like a miracle has happened in the Tahoe backcountry. Photo by Grant Kaye. 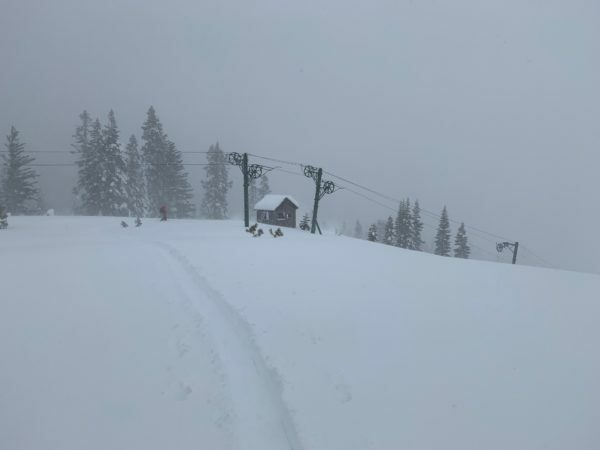 Mother Nature continued to save the soul and spirits of Tahoe riders with another massive one-two punch snowstorm over the course of four days. 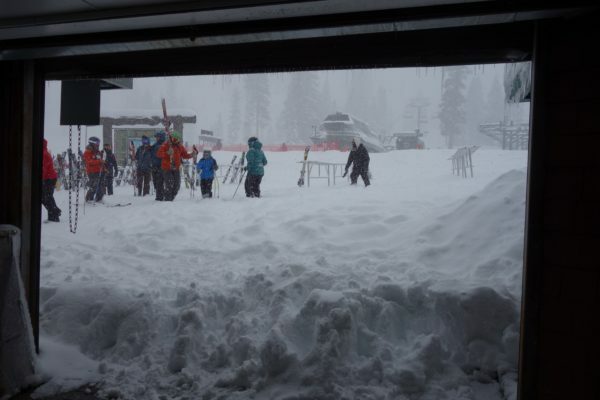 By the time it stopped snowing ski areas were digging out from 100 inches of new snow. 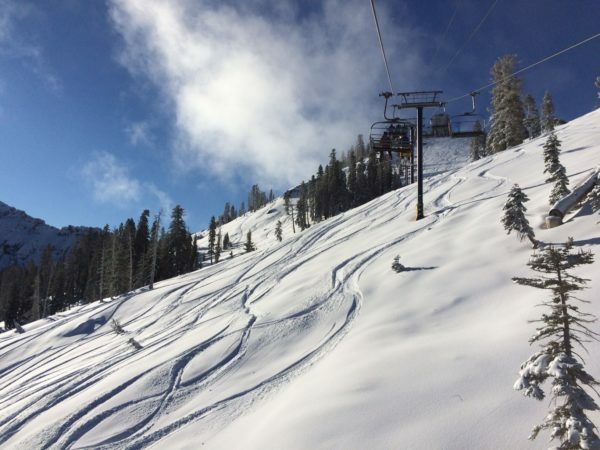 Squaw Valley and Alpine Meadows received over 40 inches in 24 hours. People were claiming Saturday to be one of the deepest days of their lives. What started as one of the worst seasons on record seems poised for a dramatic comeback. With over 150 inches of new snow this month we can start officially calling it a Miracle March. More snow is forecast for later this week so it seems the gift will keep on giving. Enjoy! 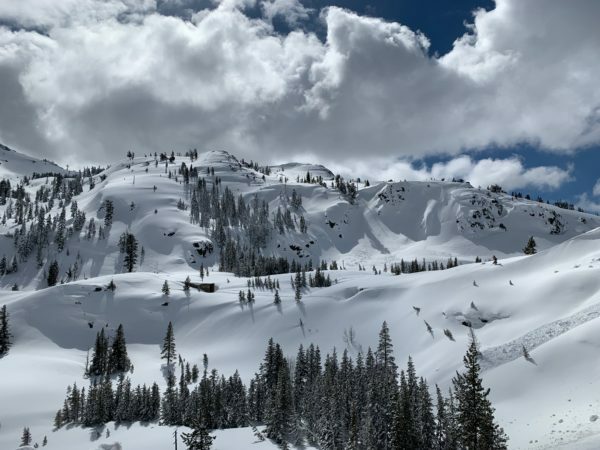 Alpine Meadows on Friday afternoon, March 16, 2018. 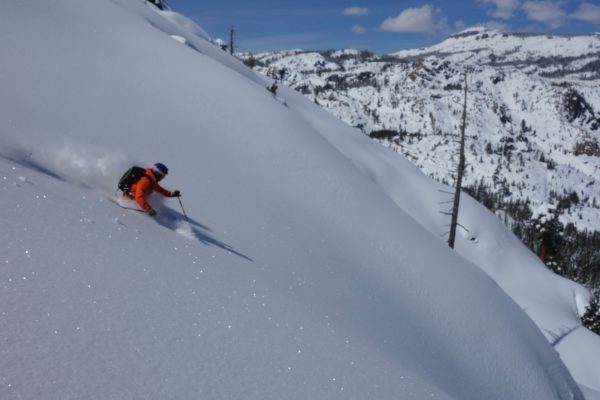 Grant Kaye floats through nearly 100 inches of new snow on Donner Summit. 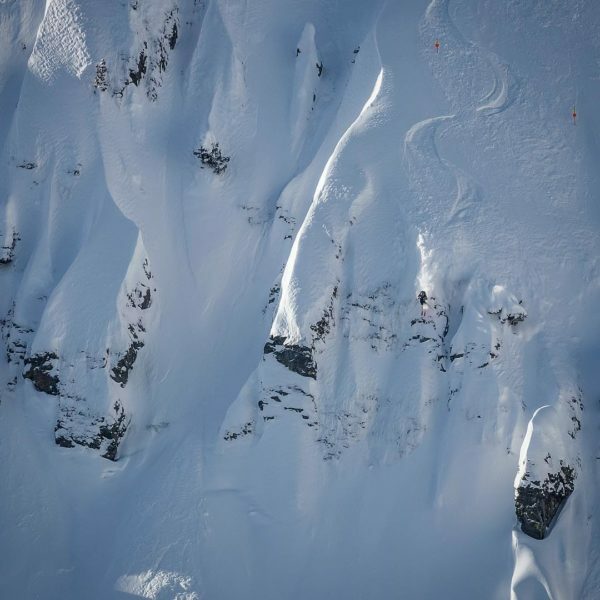 Skier: Rob McCormick. Photo by Grant Kaye. 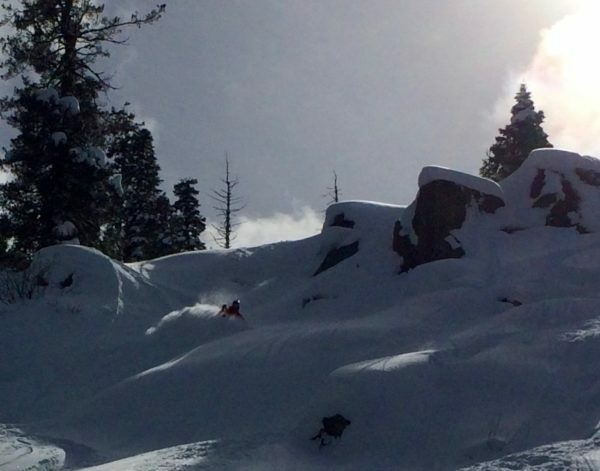 Tahoe riders are celebrating five to seven feet of snow that fell in the last week. 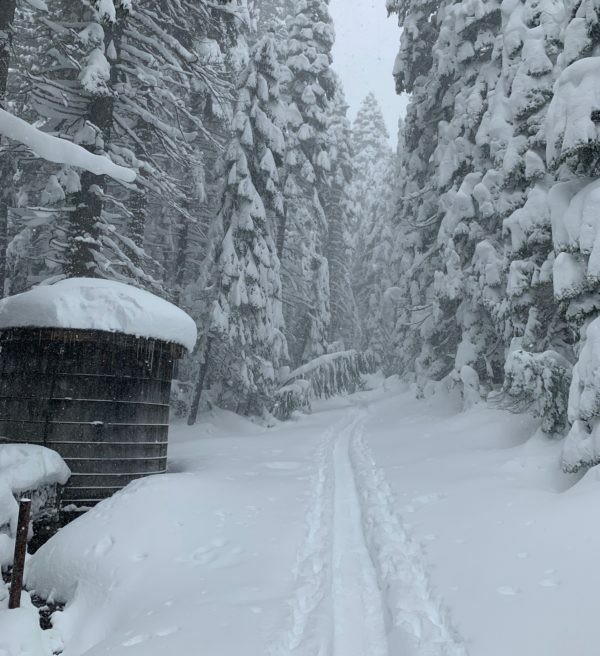 The multi day storm cycle started with wet, dense snow and transitioned to ultra light fluff with snowfall rates approaching four inches an hour on Friday night. 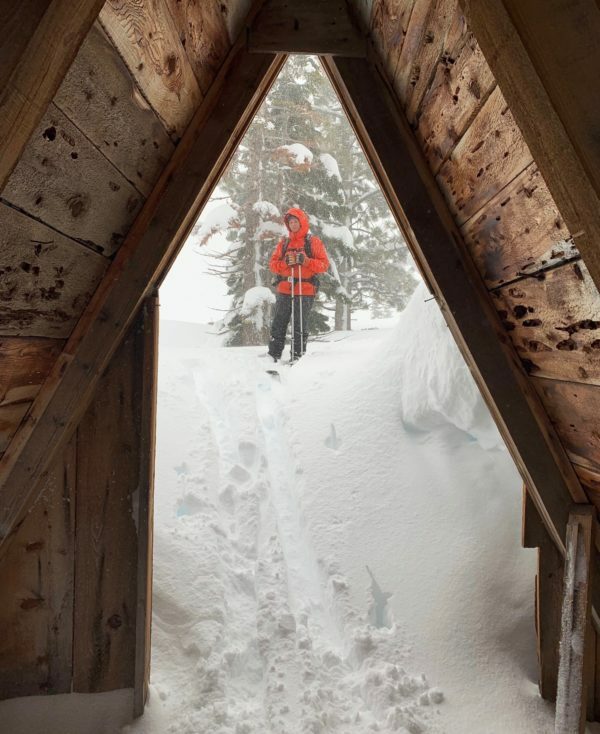 Valley floors received over three feet of snow finally bringing lower elevation trailheads into play. 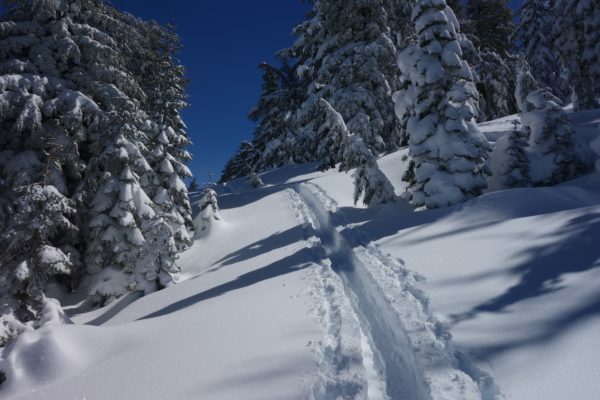 Conditions have been spectacular though not without hazards that frequently accompany tremendous snowfall in a short time frame. 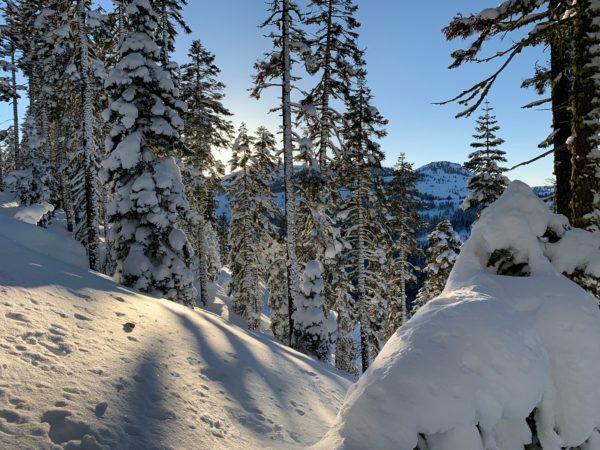 A snowboarder was reported missing at Squaw Valley on Thursday night and found dead Friday morning (cause of death still undetermined). 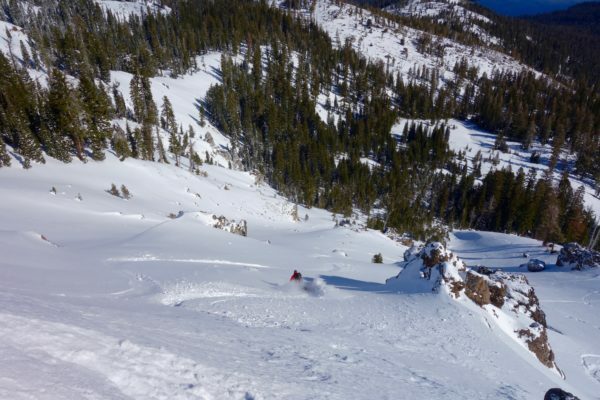 Friday afternoon an in-bounds avalanche below the Olympic Lady chairlift at Squaw Valley overtook five skiers. Some sustained injuries but no-one died in the incident. 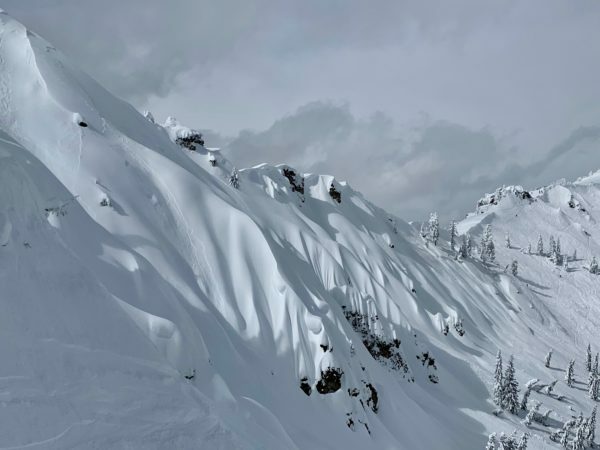 Backcountry skiers should be aware of a deep slab avalanche problem throughout the region. 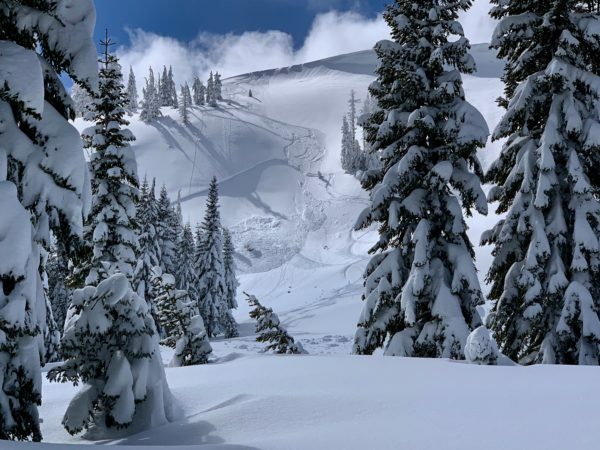 Large destructive avalanches have occurred over the past several days. Deep slab avalanche crown visible on top of Schallenberger Ridge. 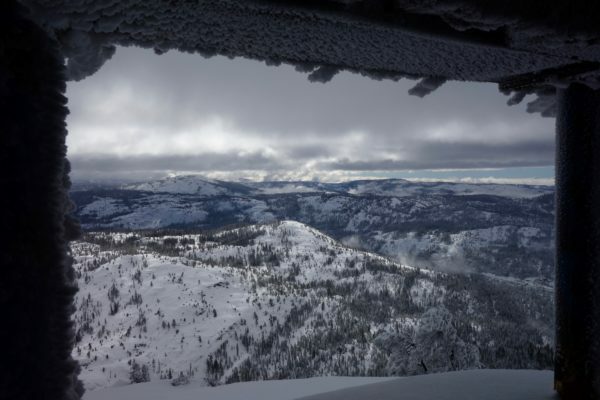 Donner Summit on March 4, 2018. The Palisades at Sugar Bowl. 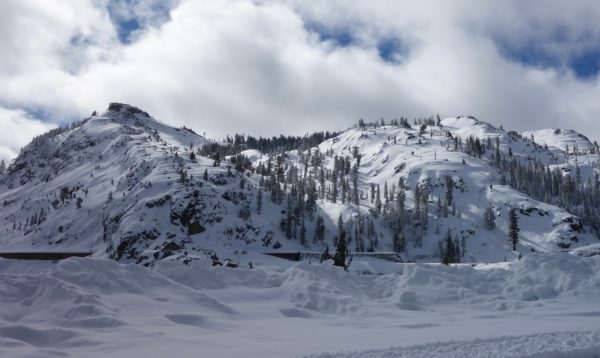 82 inches of new snow has Squaw Valley looking like it’s normal winter self. Elevation 7,400 feet was still dirt just a few weeks ago. 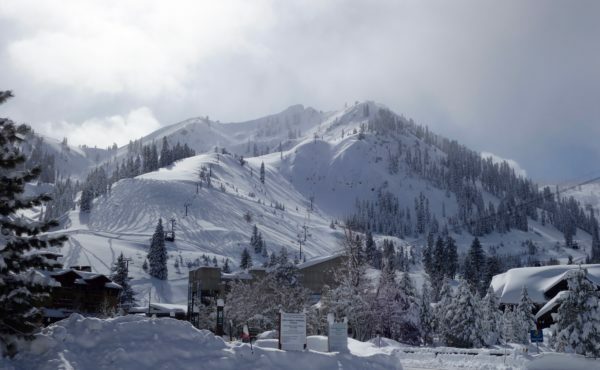 Fifteen inches of new snow at Squaw Valley on Monday. Small storms last Thursday and Monday combined with cold temps have finally made it feel like winter here in Tahoe. More terrain is coming into play and the skiing has been quite good. Forecasters are calling for the first big time snow event of the season later this week. This one looks to be measured in feet, not inches. Locals and business owners are hoping for a mega March to salvage what has been an extremely disappointing season so far. The Pacific Crest looks about one good storm away from game time. 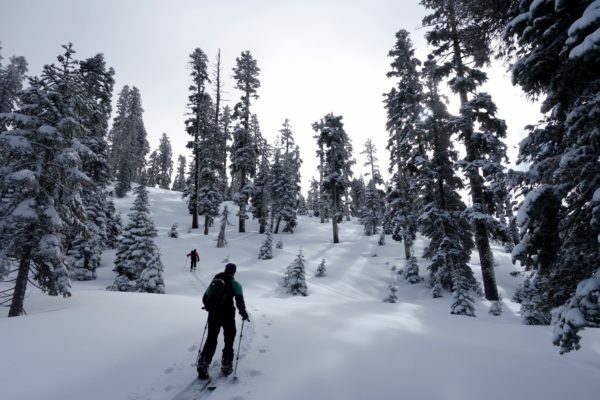 Geoff Forcier hoping for a miracle March in the Donner Summit backcountry. The gremlins are starting to leave their marks in the high country. 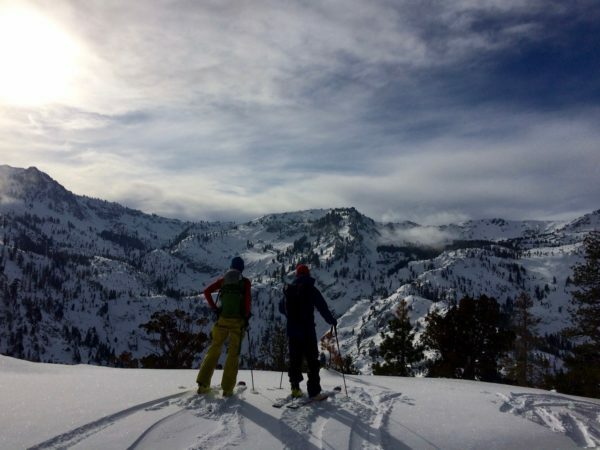 The tremendous ski seasons of 2016 and 2017 seem like a distant memory now that Tahoe is in the throes of another horrifically lean winter. How bad it is it? Historical snowfall data has us trending with the three least snowiest of all time. If we don’t receive substantial snow by the end of February we could end up with the least snow in history up to that point. It’s hard to fathom that we are already grasping for a miracle March as our best and only hope. Although a strong finish is possible, a look outside is more likely to induce flashbacks to the not so distant drought cycle of 2012 through 2015. 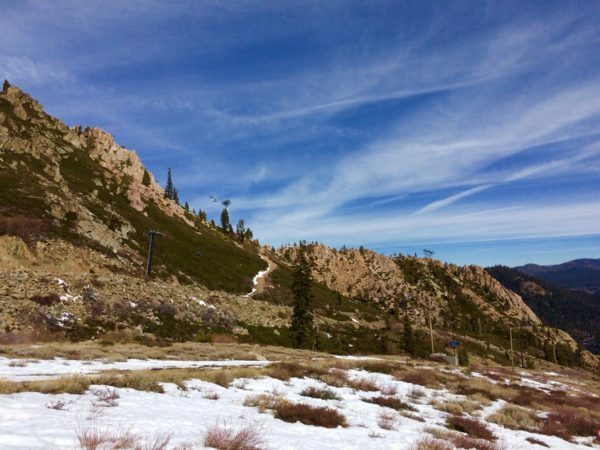 While mid mountain base depths are adequate, there is virtually no snow at elevation 6,000 feet. 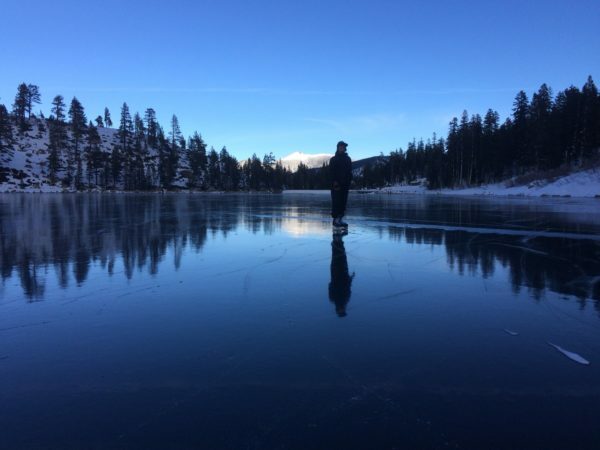 Great ice skating was the silver lining to an extremely dry December. Despite the somber season thus far there is still plenty to be grateful for. 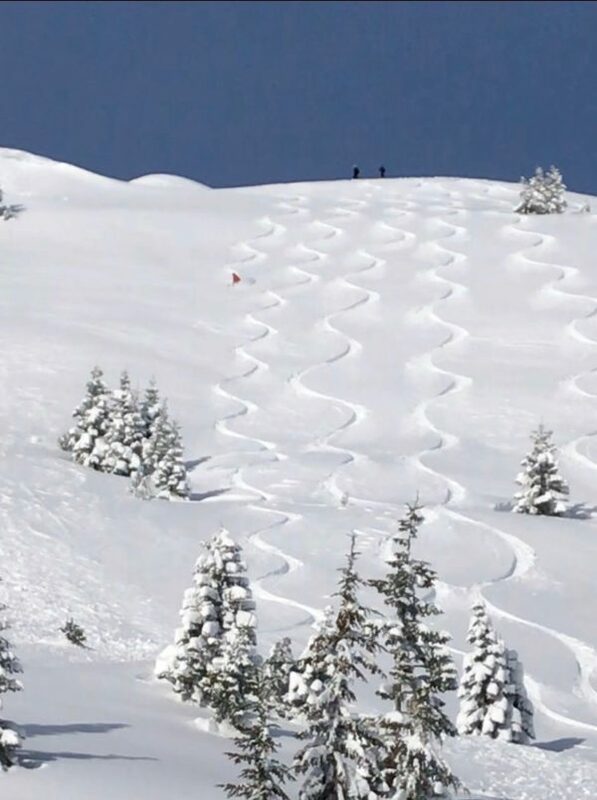 Modest snow events have kept ski areas in the game and groomers and off piste (at times) have skied remarkably well given the circumstances. Temperatures in the 50’s and 60’s have inspired some people to ride bikes, go for a hike or paddle on the lake. Sometimes you just have to find a nice patio to drink beer in the warm winter sunshine and remember that after all it’s still sunny California. Life could be worse. But for reals can we please get a late season miracle?!? 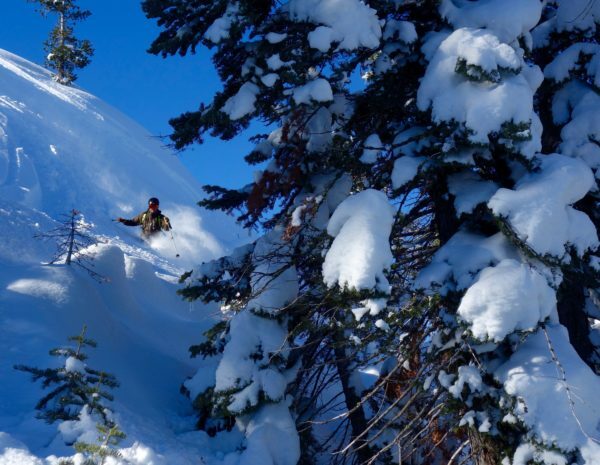 Those looking to hit the road in search of powder should consider Montana which is having a splendid season. 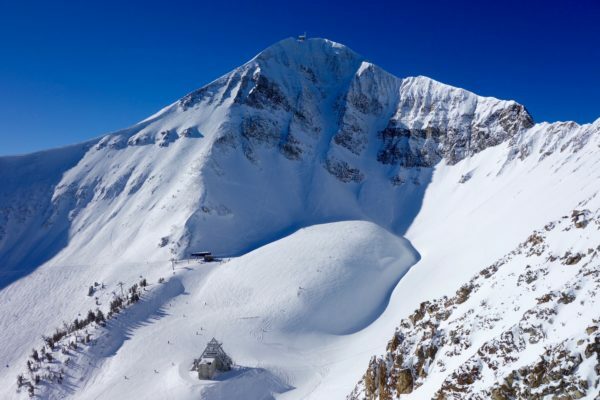 Lone Peak at Big Sky on January 21, 2018.